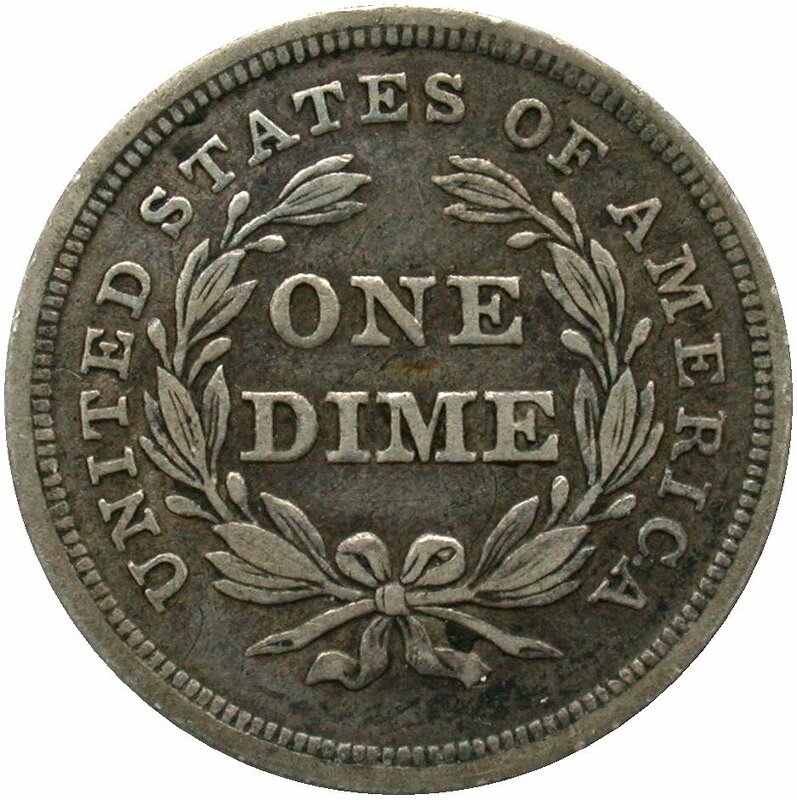 Comments: During March 2014, Jason Feldman provided the author with an 1839 dime cherrypicked years ago with reverse rotated left by approximately degrees. This dime came as a complete surprise. 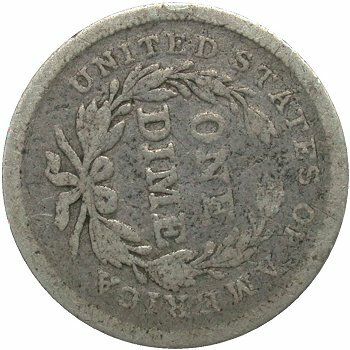 Careful study revealed the dime to be struck from the Obverse 3 and Reverse F die pair which were re-used for business strike coinage after several proof strikes. 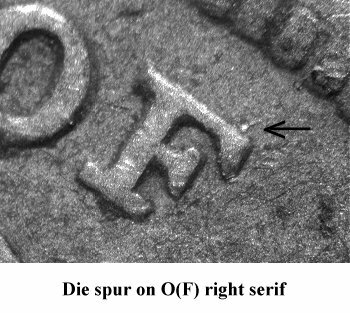 The initial few production strikes seen have the obverse and reverse in normal coin turn die alignment. 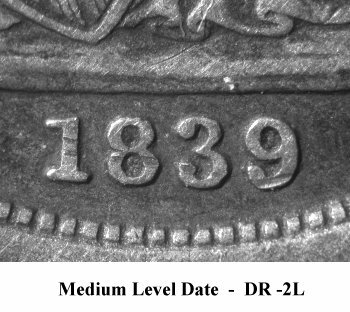 The typical business strikes die alignment from this die is reverse die rotated left 18 or 23 degrees. A second example in VG8 grade surfaced in late April 2014 in the New England area. 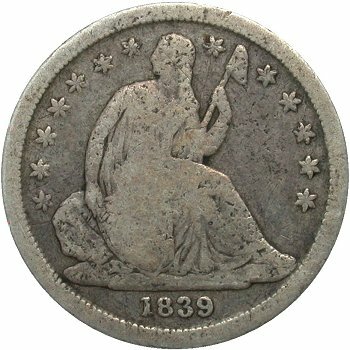 Two specimens have been reported with one being G6 details and the second being the plate coin. Estimating rarity is difficult but will be set at R7+ in VF or better.